I love learning little-known stories behind some of my favorite children’s books. Which, of course, is why I adore Anita Silvey’s Children’s Book-A-Day Almanac, with its quirky facts and behind-the-scenes insights, and the bright light it shines on some of the best in children’s literature. 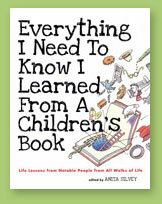 Anita Silvey has enjoyed a long career in children’s publishing, and is in a unique position to share wonderful stories about children’s books and their rich history. Today the Children’s Book Almanac celebrates its first birthday. We celebrate with an interview with its founder. You’ve spoken about the way children’s books, for most of us, are linked, viscerally, in memory to the person with whom we shared them. I can’t get enough of that. Can you share some of your own childhood book memories and some you’ve observed/learned about in a professional capacity? One of the most amazing projects that I have ever worked on became EVERYTHING I NEED TO KNOW I LEARNED FROM A CHILDREN’S BOOK. The book contains testimonies from 110 society leaders. Children’s books caused many to choose their career. Famous people remembered the name of the person who gave them the book, when often they had forgotten the author. All of them had whole book memories, with the people involved, the place where they got or found the book, and what they were doing when they read the book. As I talked to everyone from Pete Seeger to Steve Forbes, I realized I was tapping into some of the most powerful, and pleasant, memories that exist for all of us. I was wondering if you have many lasting friendships with writers from your days working in publishing, and any stories about them to share? I have been fortunate to work closely with many authors and illustrators and still count creative people among my most valued friends. In the Almanac I am trying to record some of my memories of those people no longer with us. Because I became Assistant Editor of HORN BOOK in 1971, I got to meet an incredible array of authors who worked in the 1940s-1970s. In Almanac entries, you will see me talk about some of them — Robert McCloskey, H.A. 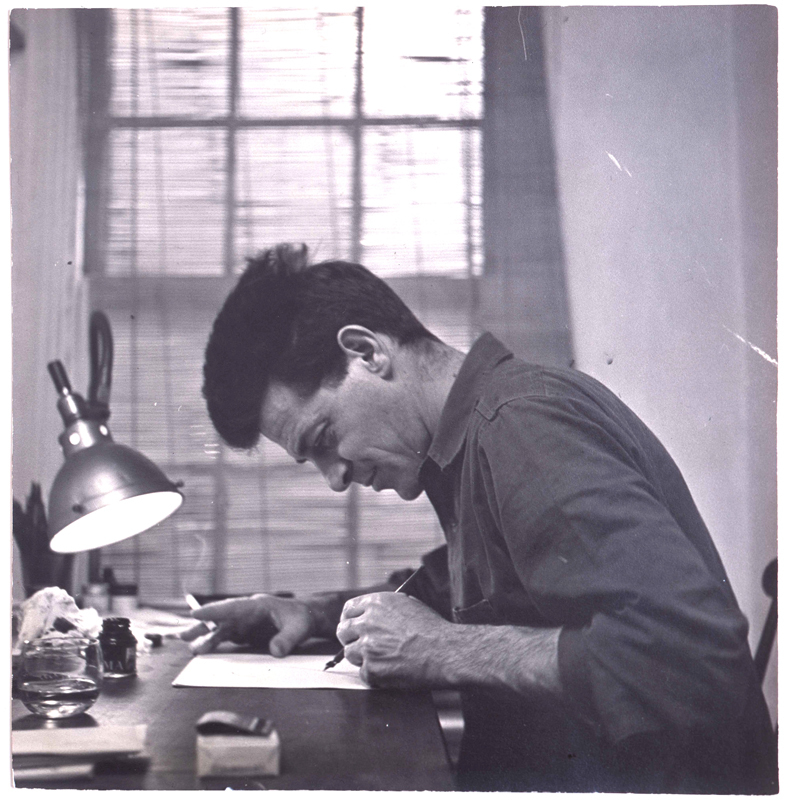 and Margret Rey, Ezra Jack Keats, William Steig, Scott O’Dell, Elizabeth George Speare, Pamela Travers, and Jim Marshall. The list goes on and on. What children’s book character would you have liked to move next door to young Anita? Why? Young Anita wanted Anne of Green Gables as a neighbor or Mary Lennox of THE SECRET GARDEN. The adult (or sometimes adult) Anita still finds characters in books that I would love to hang out with. That is part of the charm, of course, of reading a book. It allows us to be neighbors with these characters in our minds for at least a few days or months. When I started this blog, it was with George and Martha in mind; I have great respect for their friendship. Are there any literary friendships that stand out in your memory? I am always amazed at the friendships that exist in the field of children’s books. Jim Marshall, who wrote about friendship in GEORGE AND MARTHA, was one of the best friends anyone could ever have. He, Arnold Lobel, and Maurice Sendak were best friends for years. Leo Lionni helped the struggling Eric Carle. When I know of great friendships, I try to celebrate them on the Almanac. What’s ahead for the Children’s Almanac? The Almanac celebrated its first year on October 24. I am now working on the manuscript to make this into a book (to be published around August of 2012). Every day an essay will continue to be published; one or two each week will be entirely new. The others will be updates from the year before. At the Almanac’s website, readers can find book recommendations and events tied to the day. I hope people join me there and chime in about their own enthusiasms. I hope you’ll join me in making daily visits to the Almanac, a real treasure for those of us who love children’s books. This entry was posted in Uncategorized and tagged Anita Silvey, Anne of Green Gables, Arnold Lobel, Children's Book Almanac, Children's Book-A-Day Almanac, Elizabeth George Speare, Eric Carle, Everything I Needed To Know I Learned from a Children's Book, Ezra Jack Keats, George and Martha, H.A. Rey, Horn Book, James Marshall, Leo Lionni, Margret Rey, Maurice Sendak, Pamela Travers, Robert McCloskey, Scott O'Dell, The Secret Garden, William Steig. Bookmark the permalink. Thanks for leading us to Anita’s site! Starting with my Little Golden Books, I was very aware of the illustration styles in picture books and chapter books and would chose books based on the illustrators. Guess it was destined that I become an art director working with illustrators–which has been the fun-est part of my career. I have Ms. Silvey’s book, which I read and re-read. Her 100 Best Books may not be my exact list, but they are all winners. I love her story-behind the story.